Although summer is underway and many faculty are focusing on research projects and renewing courses, the UFA is keenly aware of a growing campaign to undercut our ability to serve you, our members, as well as our students. Over the coming months, you will likely receive mailings, calls or emails about your ability to leave the union and save money. This is all connected to two things, a Supreme Court decision that will likely label everything we do — from negotiating a new contract to filing formal grievances — as “political lobbying” because we are talking with our employer, a state agency. 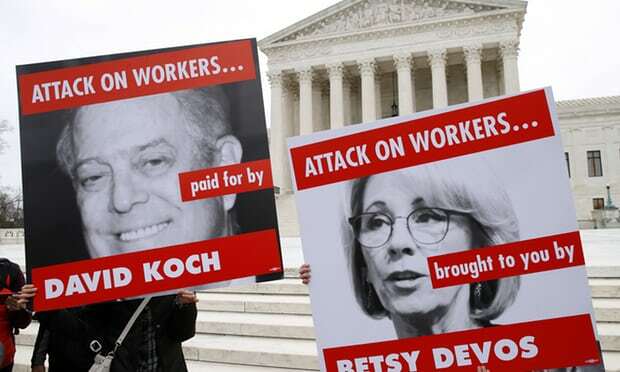 The other aspect of this is a nationwide campaign funded by conservative donors to weaken public unions nationwide. The Guardian recently published a critically important investigation we recommend all members read. We will continue to talk with you, our members about this issue.